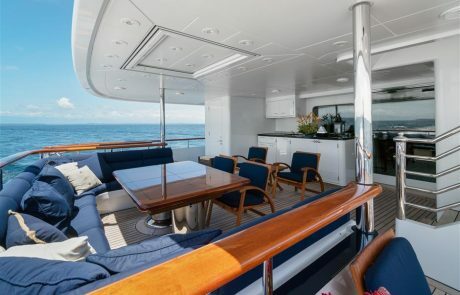 ANGIAMO’s groundbreaking design was the work of two industry giants Doug Sharp (naval architecture) and Glade Johnson (interior). 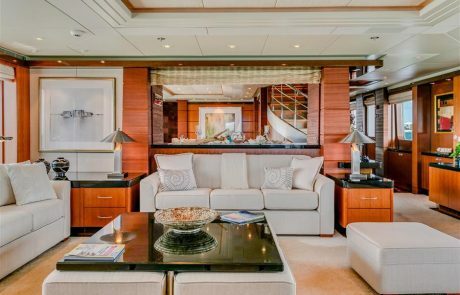 Countless hours of design work were required to make sure that all guests, and the owners, remain exceedingly comfortable while on board. 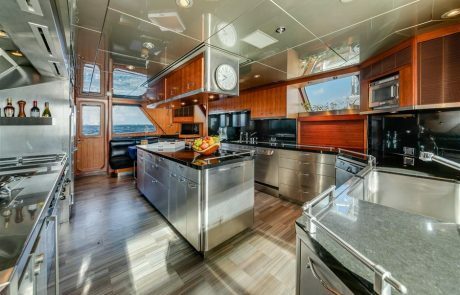 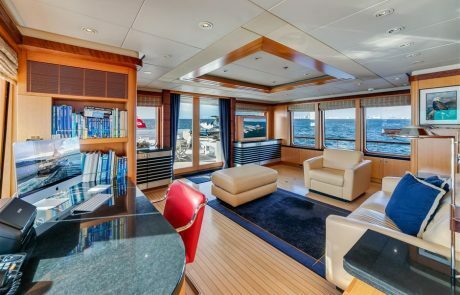 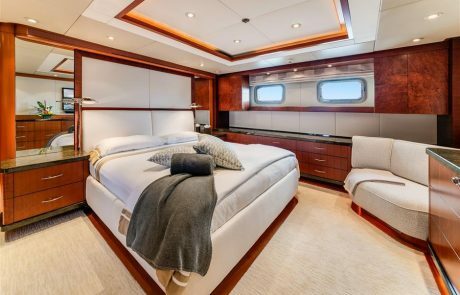 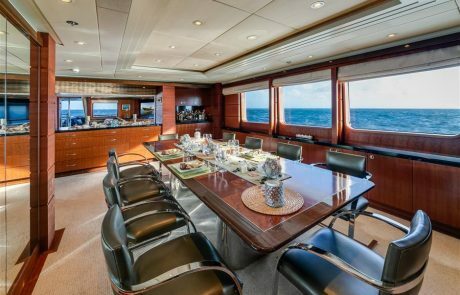 Her full beam master stateroom, to give an example, is directly over the yacht’s metacenter – permitting a restful night’s sleep on even the most arduous of offshore passages. 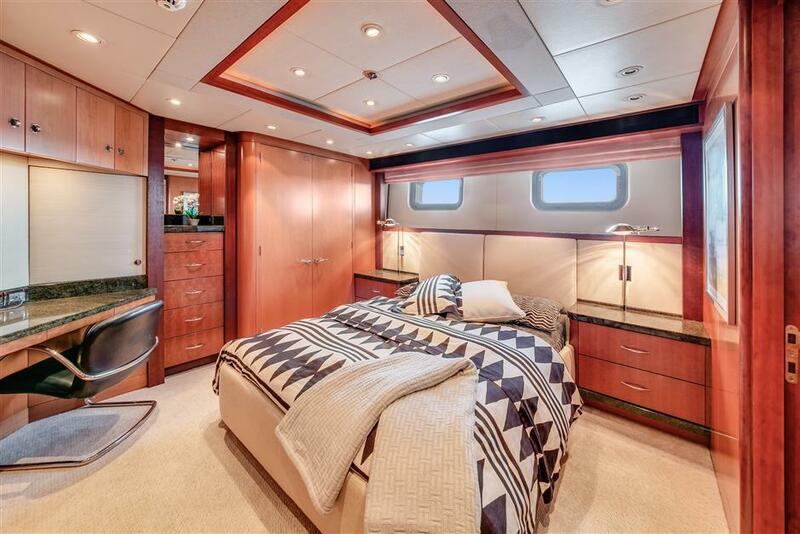 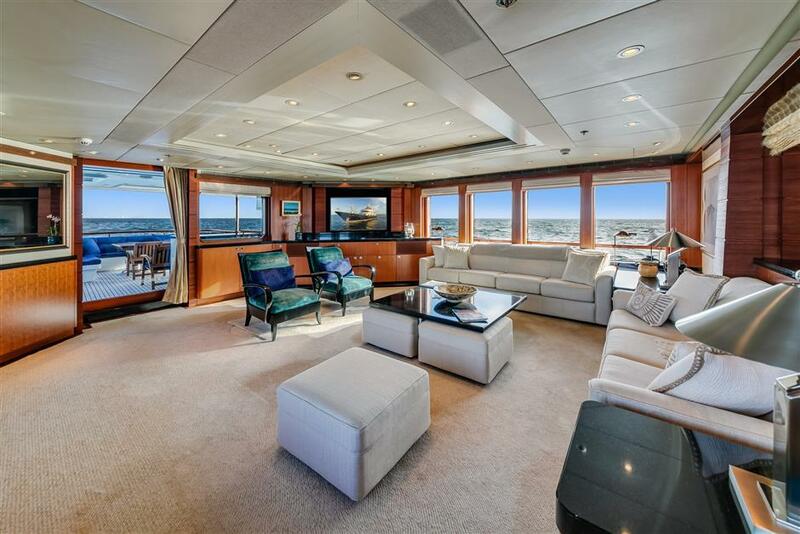 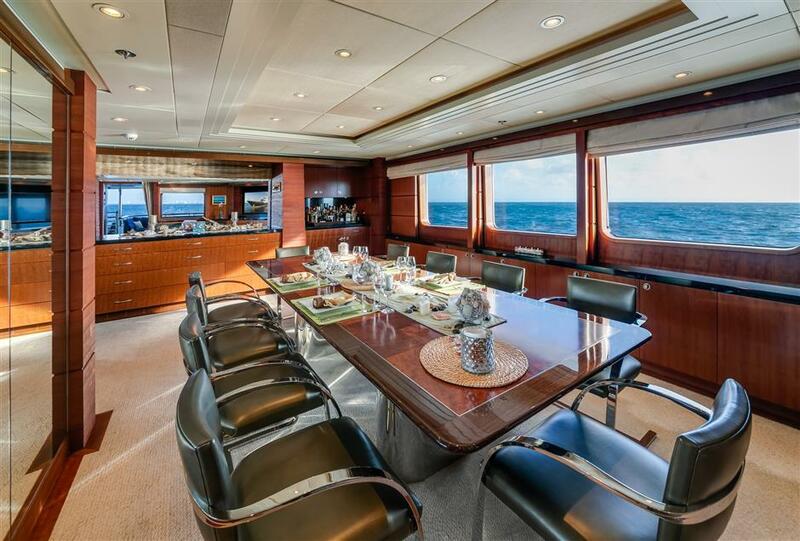 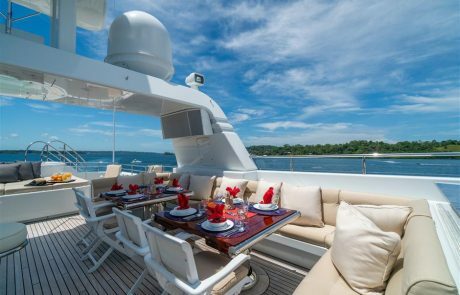 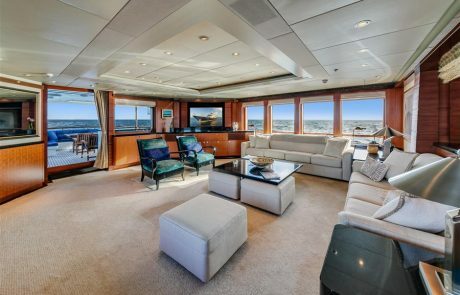 With three additional double staterooms, neither owners or guests will be lacking in space. 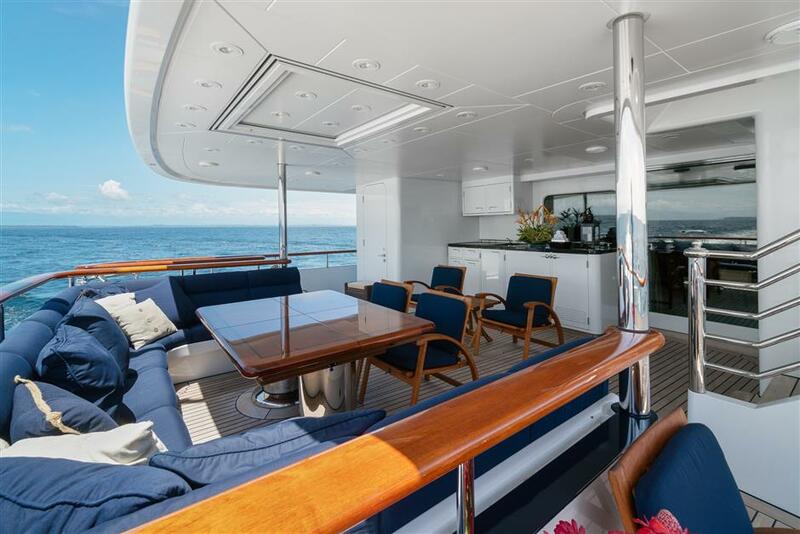 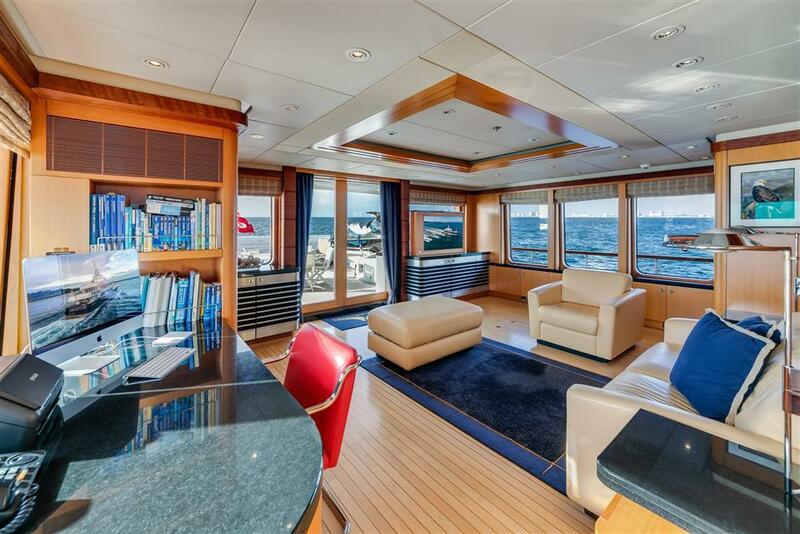 But what sets ANGIAMO apart from other Feadships is her uncompromising ruggedness. 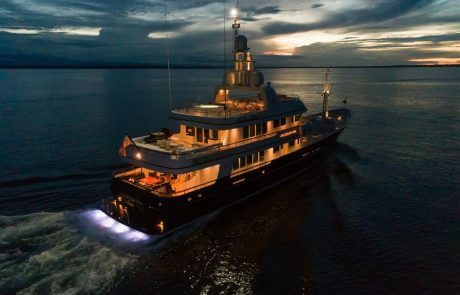 It’s the ice strengthened steel hull, as well as a host of redundant systems, that allow her to explore parts of the globe that would be unthinkable – and profoundly unwise – on any almost other expedition yacht. 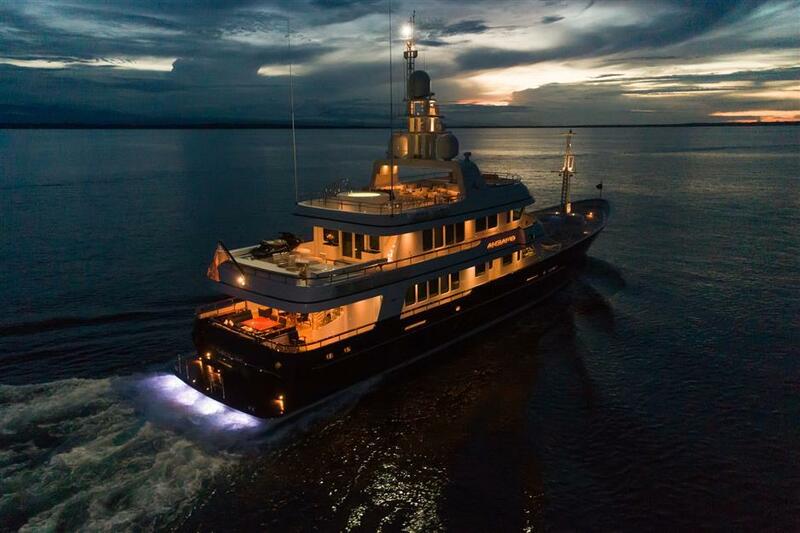 Her range, driven by twin CAT 3412s, is a “go anywhere” 4,700 nautical miles. 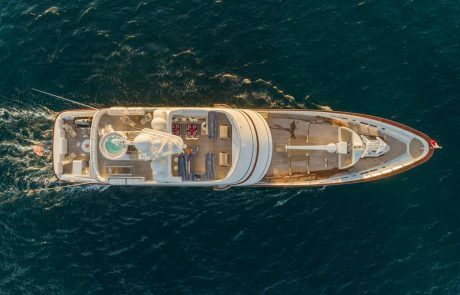 ANGIAMO’s two tenders are much like their mother ship – impossibly strong and just as well suited for the South Pole as the South of France. 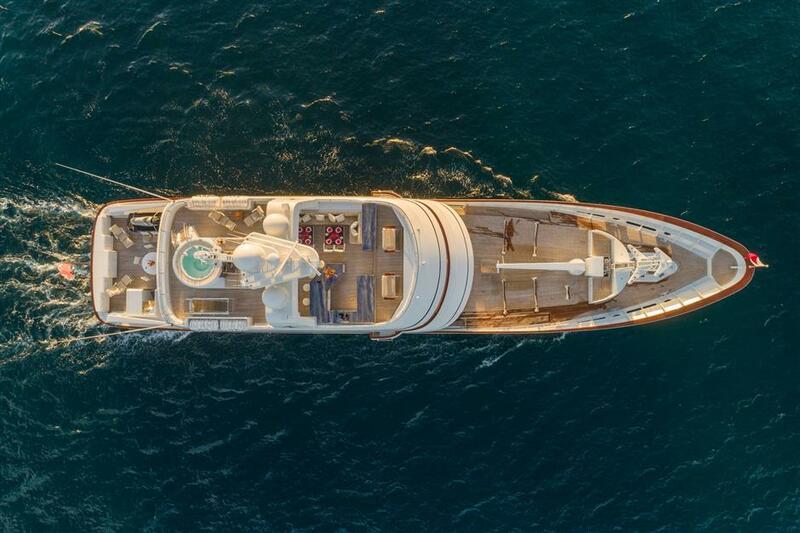 ANGIAMO has been maintained to world class standards (quite literally). 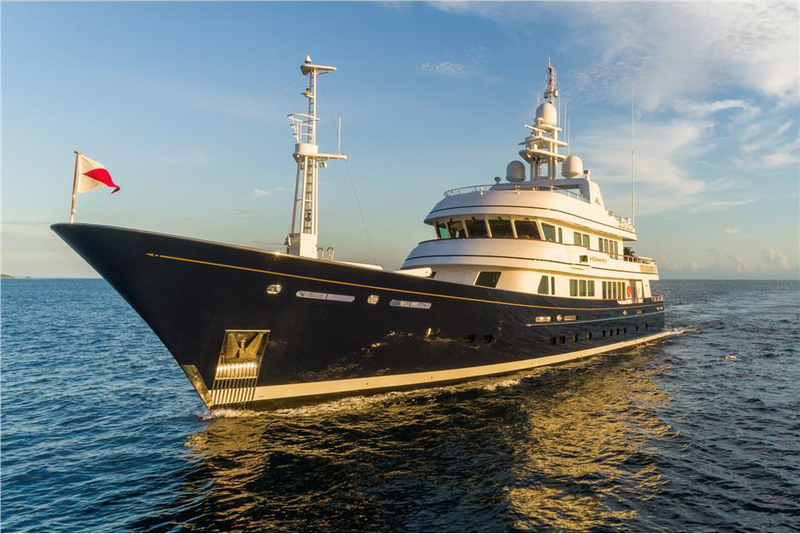 Every major mechanical system has received relentless scrutiny, and the entire vessel, without exception, has been treated to the finest maintenance that money and acumen can provide. 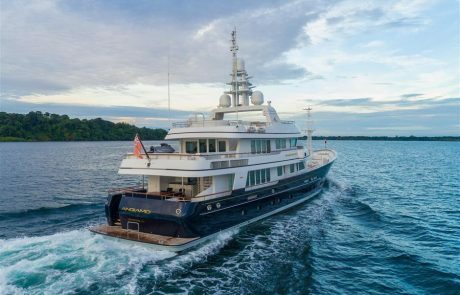 Her Captain has been aboard for the past 12 years – and takes significant pride in knowing that ANGIAMO is more than ready to circumnavigate the globe on barely a moment’s notice.